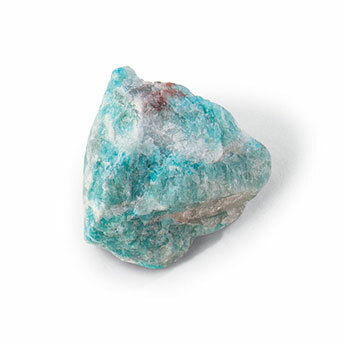 Amazonite promotes hope and optimism, increases positive energy, and keeps you cool, calm and collected with confidence like the Amazon River–which flows with ease. It reduces stress, promotes peace, helps balance emotions, triggers intuition and promotes love and self-love. Amazonite allows you to speak up and shine–it is a stone that is said to inspire those who wear it–helping you express yourself and speak with confidence. I wear this stone every time I do a presentation or speaking engagement as it helps me share my ideas and intentions with ease. It also helps align your speech to your higher ideals and speak your truth, rather than the societal norm. At the same time, it helps you to remain calm and collected, even in situations where you may be required to talk about delicate or uncomfortable subjects.